Sembcorp Energy India Ltd, which is the local clean energy arm of Singaporean infrastructure conglomerate Sembcorp Industries Ltd, and Ahmedabad-based civil construction firm Montecarlo Ltd have received the regulatory nod to float their respective initial public offerings (IPO). The Securities and Exchange Board of India (SEBI) issued final observations to Sembcorp and Montecarlo’s IPO proposals on 1 August and 31 July, respectively, according to the website of the capital markets regulator. This means 37 companies in all have received SEBI approval for IPOs in the first seven months of 2018. As many as 46 companies had received clearance for IPOs in 2017, according to SEBI’s website. Sembcorp had filed its draft prospectus with SEBI on 22 February, a day after it announced the reorganisation of its India energy business. 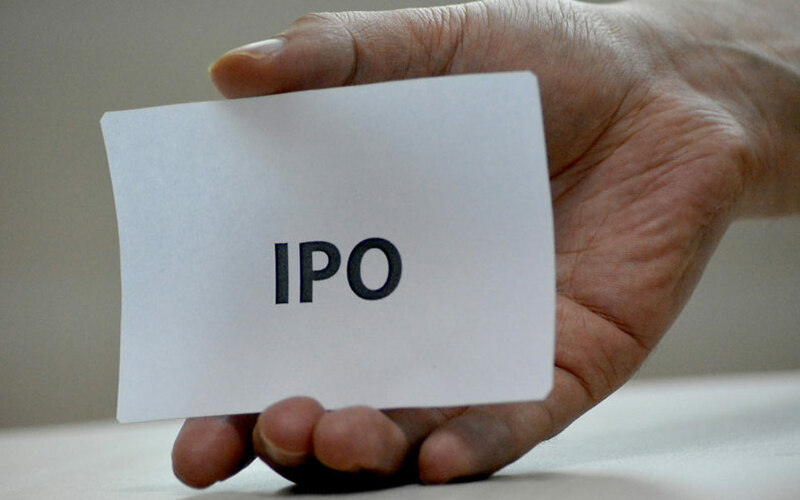 The proposed IPO includes a fresh issue of shares to raise up to Rs 4,095 crore ($631 million) and an offer for sale of 146.78 million shares by Sembcorp Industries and local joint venture partner Gayatri Energy Ventures India Ltd. The company may also consider raising Rs 650 crore via a pre-IPO placement, the DRHP showed. Axis Capital, Credit Suisse, CLSA and SBI Capital Markets Ltd are the merchant banks managing the IPO. Sembcorp develops, owns and operates assets in both renewable energy and thermal power in India and its portfolio in the country comprises more than 4,000 MW of assets. Sembcorp Group has total assets of more than S$23 billion and is listed on the main board of the Singapore Exchange. State-owned investment firm Temasek Holdings Ltd is the largest shareholder in Sembcorp Industries. Sembcorp had entered the Indian energy market in 2010. The company develops, operates and manages the $3 billion Sembcorp Gayatri Power Complex in Andhra Pradesh, which has a total capacity of 2,640 MW across two power plants. In 2015, Sembcorp had acquired a majority stake in Indian renewable energy firm Green Infra Ltd for $227 million. Last year, Sembcorp also won a bid for an wind energy project in a government-run auction. India’s ambitious target of setting up 100 gigawatt (GW) in solar capacity and 60 GW in wind energy capacity has made the country an attractive market for overseas energy firms and financial investors alike. Over the past two years, Italy’s Enel Green Power, Canadian pension fund manager Caisse de depot et placement du Quebec (CDPQ), Dutch pension fund APG Asset Management, Japan's Softbank Group, and a unit of international private equity firm Abraaj Group have committed investments in the Indian renewable energy sector. Apart from a growing list of secondary deals and project investments, several green energy firms such as ReNew Power Ltd and ACME Group are preparing to go public to benefit from the boom in secondary markets. The rospecAhmedabad-based company had filed its draft ptus on 10 May. The IPO comprises a fresh issue of equity worth Rs 450 crore and a sale of three million shares by promoter Kanubhai Patel Trust. The IPO size is estimated at Rs 550-600 crore ($82-89 million), said three people in the know. After accounting for fresh issue of shares, the offering may result in a stake dilution of 13-17%, VCCircle estimates show. Edelweiss Financial Services, Axis Capital, and IDFC Bank are the merchant bankers managing Montecarlo’s IPO. Montecarlo was incorporated in 1995 as a private firm. It is an infrastructure construction and development company, with operations spread across highways, railways, buildings and factories, mining, energy infrastructure and water and irrigation verticals. Since its incorporation, the company has completed 66 engineering, procurement and construction (EPC) projects valued at Rs 5,307.87 crore as of December 2017, and had 31 projects ongoing across 11 states and one union territory. Its design, construction and development of infrastructure operations are broadly categorised into six verticals such as highways, railways, buildings and factories, mining, energy infrastructure, and water and irrigation. Montecarlo joins a handful of peers looking to go public. These include GR Infraprojects Ltd, which refiled its IPO document recently, and Patel Infrastructure Ltd, which filed its document for the offering in January this year and received regulatory nod about two months later. Half-a-dozen firms in the infrastructure construction space have opted to list themselves in the last three years. BanyanTree-backed Dilip Buildcon went public in August 2016 with a Rs 625 crore public issue, while Bharat Road Networks Ltd went public last September by raising Rs 600 crore. Other infrastructure and construction companies that went public include PSP Projects Ltd, Shankara Building Projects Ltd, Sadbhav Infrastructure Project Ltd, PNC Infratech Ltd and MEP Infrastructure Developers Ltd.
Small-sized and mid-sized road construction firms are seen benefitting from the government’s infrastructure push spearheaded by the state-run National Highways Authority of India (NHAI). India has set out an ambitious plan of constructing nearly 84,000 km of roads that would require the government to spend Rs 7 trillion ($108 billion).